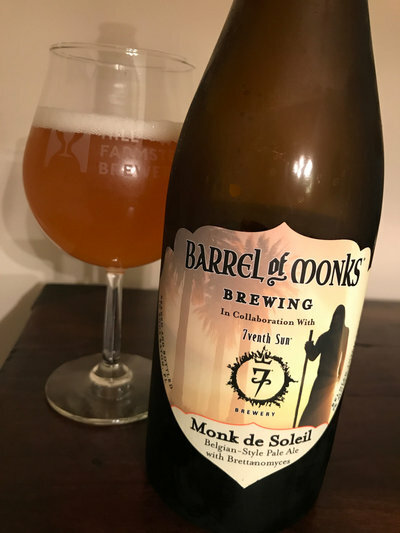 I was impressed by Florida's Barrel of Monks when I sampled their Three Fates Tripel last year and have finally managed to procure more of their wares. Their wheelhouse appears to be straightforward Belgian styles or Trappist ales that don't inspire as much beer nerd enthusiasm as freaky sours or barrel-aged pastry stouts and the like. I'm as guilty of this as anyone, but it is genuinely nice to take a step back and try a straightforward Belgian Tripel or Dubbel. So when these two bottles came my way, I was ready. Beer nerd Details: 7% ABV bottled (750 ml). Drank out of a charente glass on 6/24/17. Released 4/29/17. Beer nerd Details: 7.5% ABV bottled (750 ml). Drank out of a teku glass on 6/27/17. So these folks are 3 for 3. Not necessarily lighting the beer world on fire with trendy stuff, but I really appreciate the well executed Belgian styles. Some of the most famous and notorious defenestrations occurred in Prague in the 15th and 17th centuries. These defenestrations were done in an effort to remove government officials by throwing them out a third story window. The result was either sudden death or serious bodily injury. Either way, mission accomplished! In the spirit of this 2016 election year, we hope you enjoy our hoppy Belgian-inspired blonde ale named for the act of removing politicians by throwing them out the window - literally! 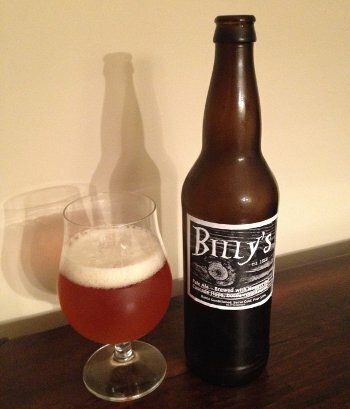 Beer Nerd Details: 6.5% ABV bottled (375 ml caged and corked). Drank out of a charente glass on 11/8/16. Bottled on: 091616. Not Russian River's top tier, but a rock solid Belgian ale. Many thanks to fellow Beer Nerd Gary for securing the bottle and slinging it my way! One of my friends was all scared about what she should bring and so she was trying to downplay her contribution, but then was all "So my friend from Vermont thought you might like this," and pulled out two cans of Heady Topper. 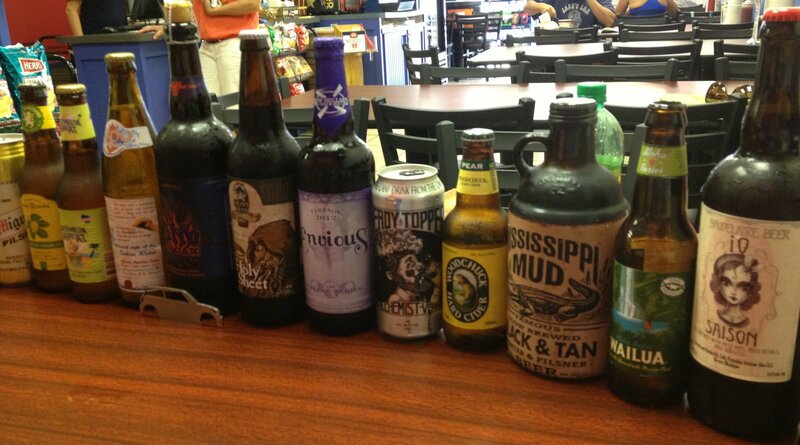 She wins beer club. Jolly Pumpkin Baudelaire IO - One of my contributions and a beer I've reviewed before. 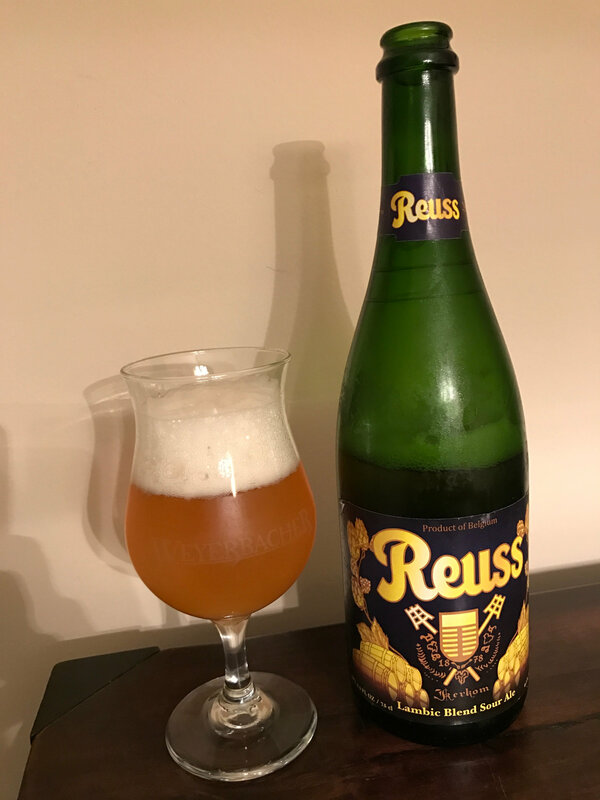 Yep, still a great beer, more fruity and less funky than I remember, but that may be a function of drinking a bunch of other beers and eating food and whatnot. 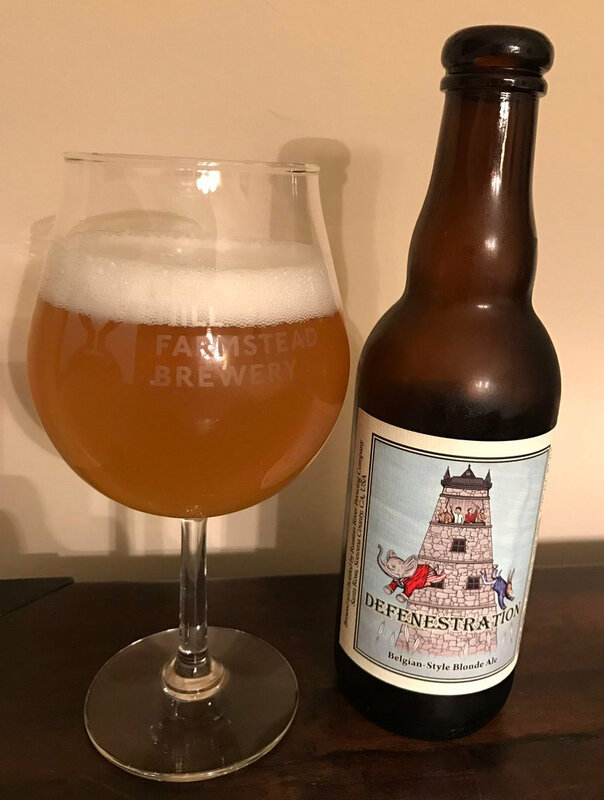 Still fantastic, no matter what, and everyone seemed to enjoy it and would come back to this after some of the next beers (though one person noted that the label artist was stealing the style of another artist!) Still an A- in my book, and I've got another one in the cellar just in case I want another taste. Heavy Seas Holy Sheet (Brandy Barrel) - I like it. 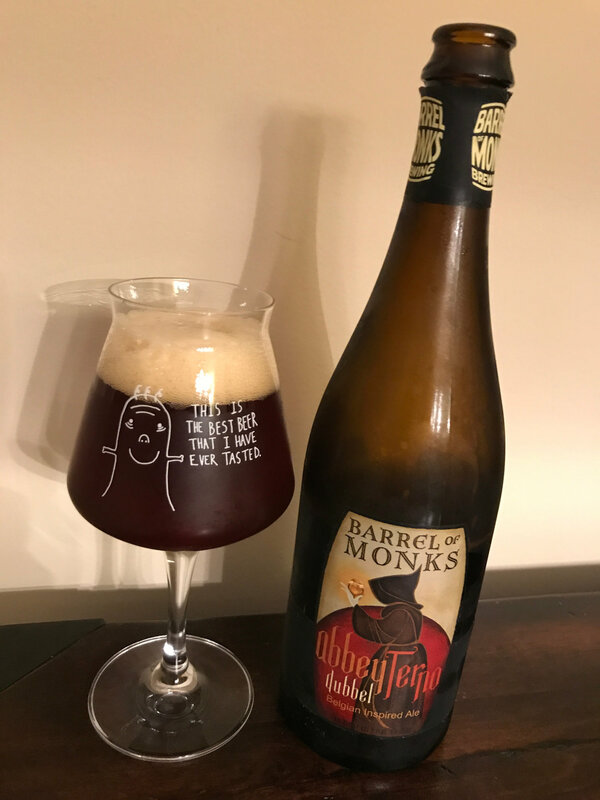 It's got a typical Belgian dubbel sorta vibe, but nice rich, boozy Brandy notes hit at the front of the taste before those raisins and molasses kick in during the middle to finish. It was a little too warm when we opened it, but I'll give it a solid B+ for now. Victory Otto in Oak - My last contribution, I was a little worried about this because I hadn't tried it since it first came out (when I loved it) and I'd traded a few of them out recently, so I was curious to see how it's held up. Apparently pretty well! Indeed, the smoke has faded even more than it had when I first tried it, and the rich bourbon and oak character was really nice. It's not something that beer nerds will go completely wild over, but I really enjoy it and think it retains the A- rating I initially gave it. At this point I got a phone call telling my that my neighbors (the folks who live under me) had water dripping into their condo, so I had to leave (fortunately, I think we were mostly finished at this point). It turns out that the water leak was not coming from my condo, so all is well at Kaedrin HQ. 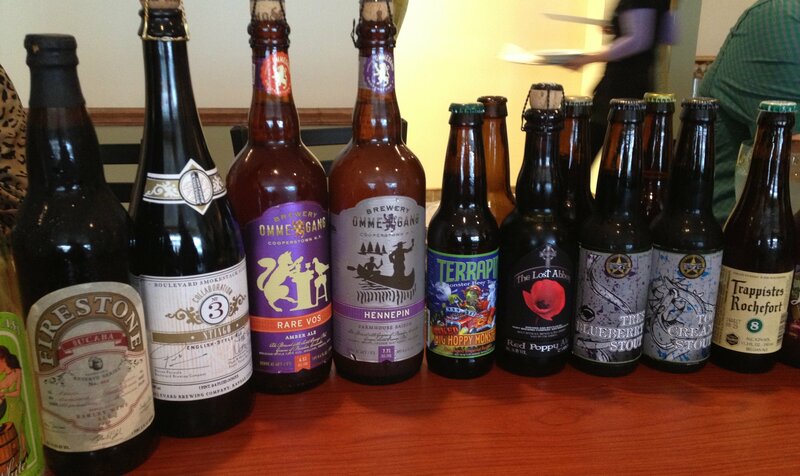 Stay tuned, some exciting beer on its way, including that Heady Topper review (so good). So all in all, a successful night and naturally, already looking forward to the next meeting. 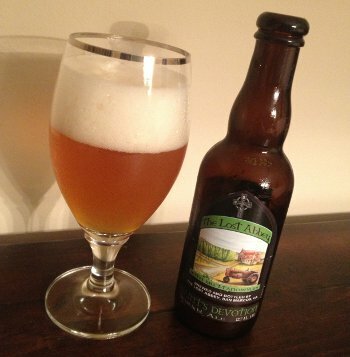 This page is an archive of recent entries in the Belgian Pale Ale category. 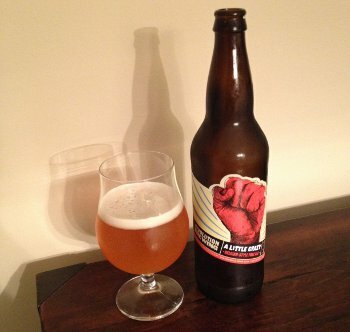 Belgian IPA is the previous category. Belgian Strong Dark Ale is the next category.